The Carlow Courthouse, a fine polygonal classical building of 1830 designed by Sir Richard Morrison. 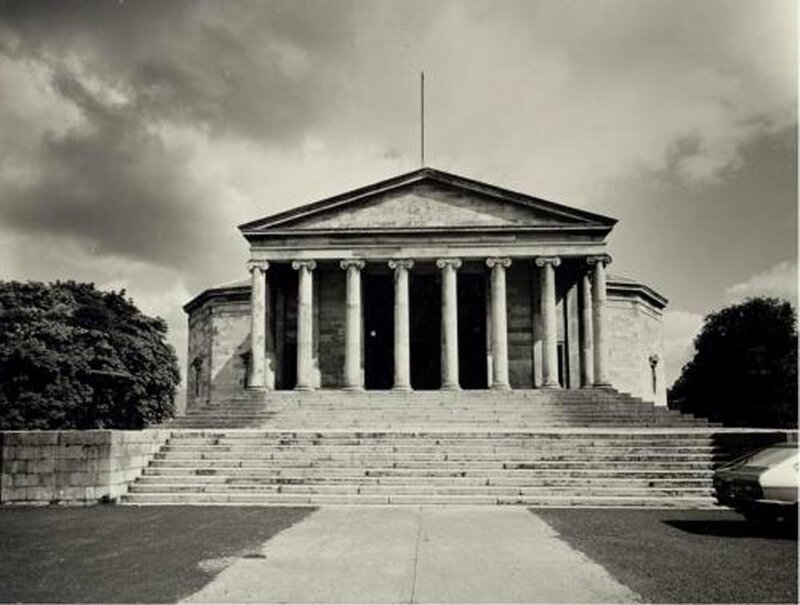 The portico is modelled on the Parthenon in Athens. This material has not been published before so it is another "first" for the IGP Carlow Website. The following inventory of Carlow Courthouse archives was compiled in 1991 by archivists from the National Archives of Ireland. Some of the material was identified as part of the Jackson Collection. Most of the items surveyed were transferred to the National Archives , Bishop Street, Dublin , where said items may be viewed by researchers. I will point out the papers that were transferred to Dublin at commencement of each section. It would have been more beneficial for researchers and Carlow if we could have kept this archive in the county but because Carlow does not have a Heritage / Archival Centre the collection was moved to Dublin. Hopefully this situation is about to change with the presentation of the Browne-Clayton Archive to Carlow County Library in April 2007 and it will highlight the need and importance of having such a centre in our county and that this awareness will lead to the appointment of a qualified archivist and the establishment of proper functioning Heritage / Archival Centre for Carlow county. The Courthouse Archives inventory was transcribed by Michael Purcell and typed and checked by Noel Roche.